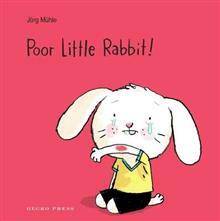 A perfectly simple interactive board book for children who love to take care of Little Rabbit. Can you help by wiping his tears? 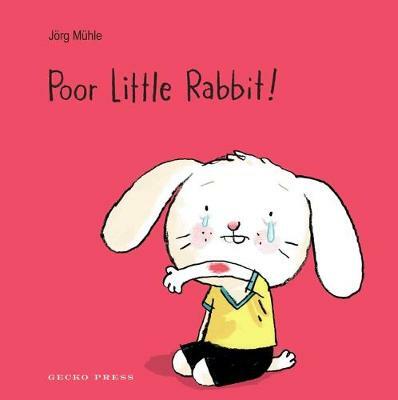 Oh no, Little Rabbit has hurt his arm. And there's blood! Can you help him? Blow gently three times, try a plaster, a rhyme, but he's still crying... Let's give his ears a stroke and wipe his tears. There, all better! Off you go, Little Rabbit! Joerg Muhle was born 1973 in Frankfurt am Main and studied at the Offenbach School of Design and the Ecole Nationale Superieure des Arts Decoratifs in Paris. He has been a freelance illustrator since 2000, and held a temporary professorship at the Fachhochschule in Mainz. He illustrated Ulrich Hub's Meet Me at the Ark at Eight. Today, he lives in Frankfurt where he works as a freelance illustrator for book publishers, magazines and newspapers.